If you could re-draw Spring Garden Road, what would it look like? Spring Garden Road is one of the trendiest strips in Halifax, and, east of Montréal, is touted to be the busiest shopping district. So what’s wrong with it? “It’s in a state of disrepair – a state of heightened tension between buses, cars, service vehicles, and pedestrians are relegated to the edges of the street,” said Frank Palermo, professor at Dalhousie’s School of Architecture and Planning. “There isn’t any place to kind of stop and meet a friend on Spring Garden,” Palermo said. Palermo said he believes the street, which stretches from Robie to Barrington, is low quality in comparison to its potential as a powerhouse cultural and commercial centre. He said that this is not the image Halifax should be projecting. Spring Garden Road took centre stage Friday at the SHIFT: Engage 2016 conference at the Halifax Central Library. 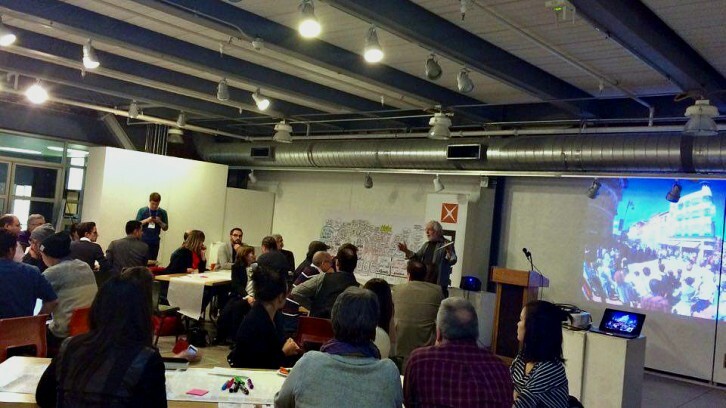 The conference, hosted by the school of architecture and planning, explored ways to engage communities in infrastructure and planning matters. 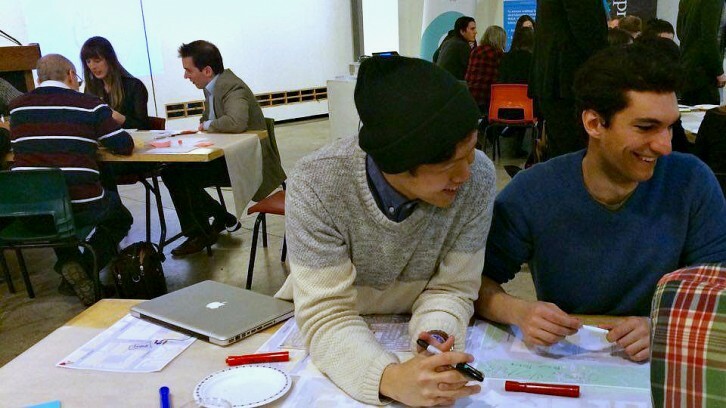 The planning students, architects, urban designers, business owners and local residents filled long tables, rolled up their sleeves, picked up markers and began re-drawing Spring Garden Road their way. From the height of sidewalks, to garbage bins, to snow removal, to traffic flow, to bus stops and more, nothing was off the table. 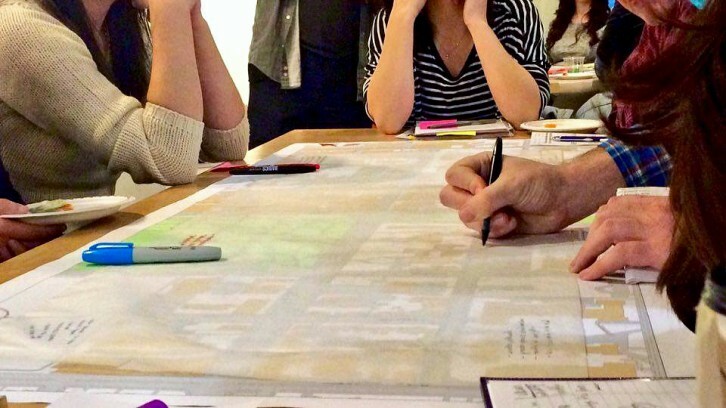 The ideas included less traffic, greater accessibility and more public spaces. Uytae Lee and Chris Markides are both planning and design students. They attended the evening’s design session to bounce around some ideas. The Spring Garden Business Association represents around 400 businesses in the Spring Garden area. Juanita Spencer, executive director, said districts like Spring Garden were thriving in North America in the 1950s and 1960s. However, the nature of shopping has changed. By the 1980s and 1990s, consumers began to favour big-box stores and one-stop shopping trips – they wanted it quick, easy, cheap and all in one place.